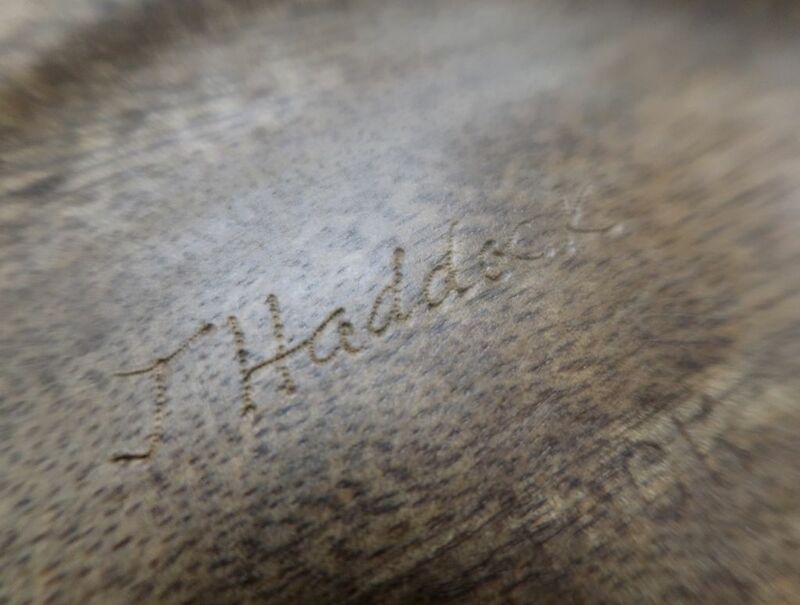 Home » MANGO CALABASH: 8.25"x5.25"
Dr. Haddock is a self taught woodworker, turning bowls in his Kailua workshop. The wood he uses is locally sourced from the windward side of Oahu, select pieces of koa, mango, true kamani, milo, macadamia nut and other woods as they are available. Besides bowls, he also makes reproduction furniture, from local woods or traditional furniture-making woods like cherry, mahogany and maple. Dr Haddock’s first career was as a veterinarian in Kailua, where he still lives and shares his home with his wife and pets. 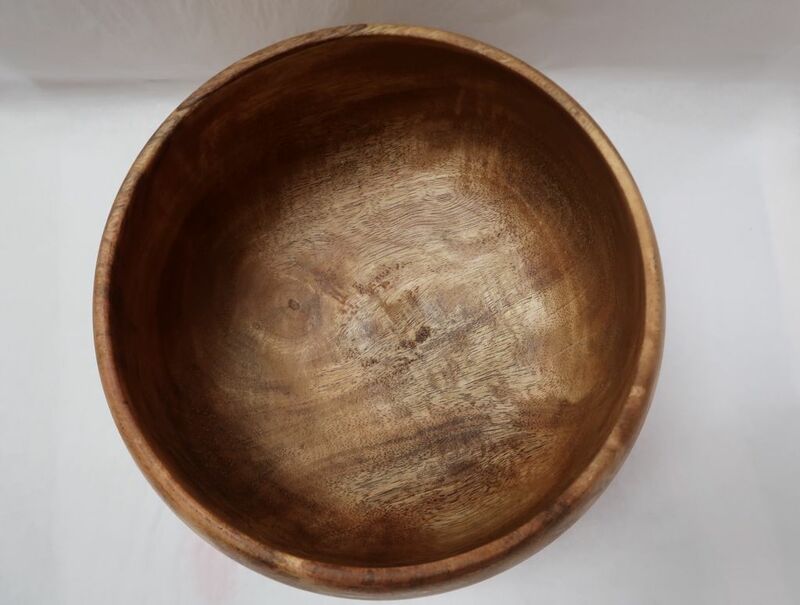 The bowl you acquired has been air dried for over a year; it is stable, but it is not recommended to subject it to extreme variations in temperature/humidity. 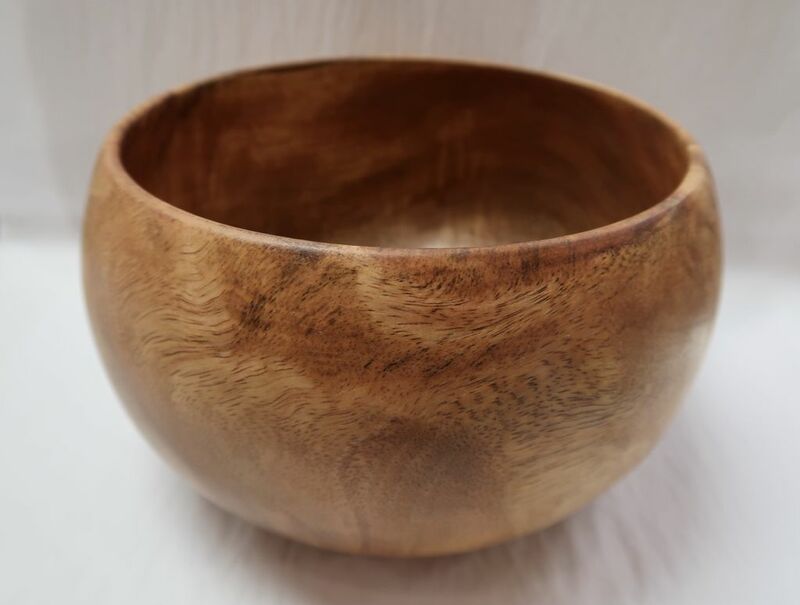 The bowl is finished with oil and coated with carnauba wax. No maintenance is needed other than wiping with a damp cloth.